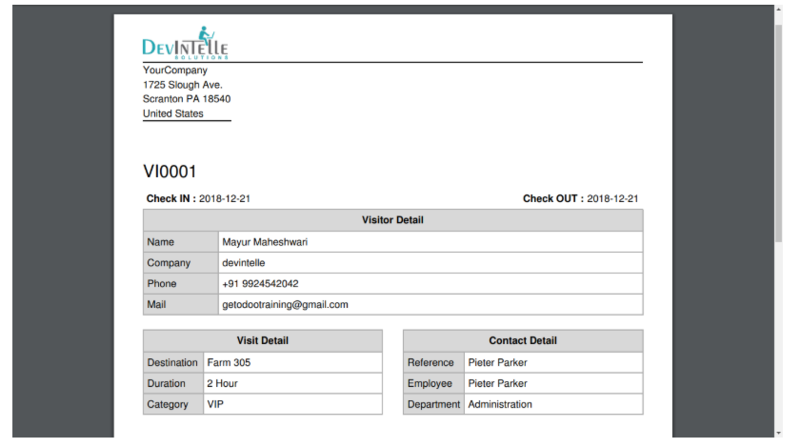 Visitor Pass Management » DevIntelle Consulting Service Pvt Ltd.
Welcoming Visitor is key to the success of any organization company, There is no doubt in the fact that most organizations attract large number of visitors. 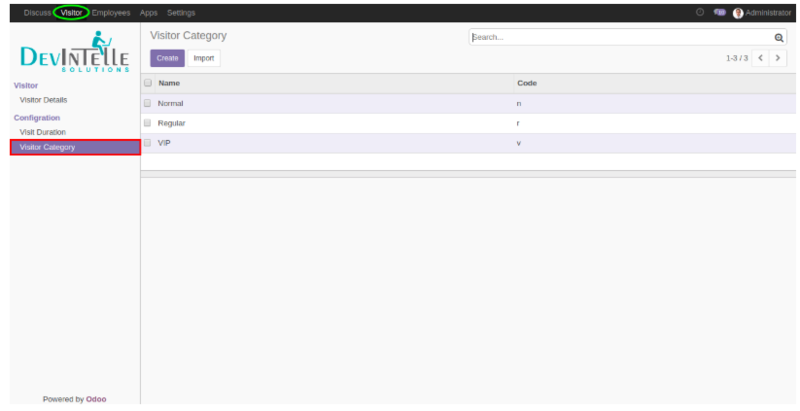 Growing business company always concerned with keeping their physical and Logical data secure . 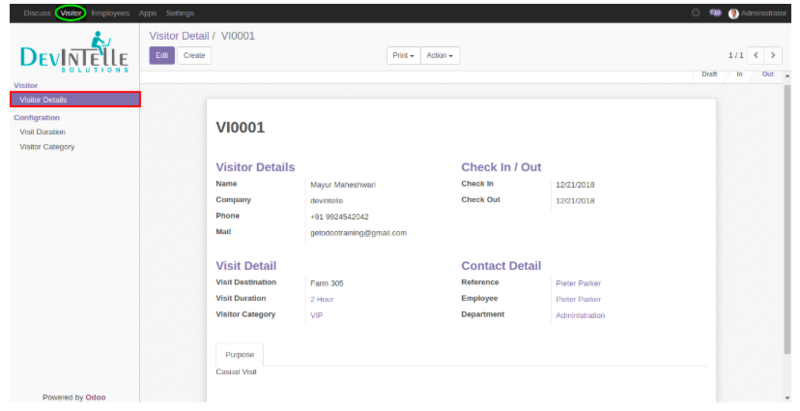 Gone are the days when registers were used for visitor sign-in process also it’s time consuming and unsecure process. 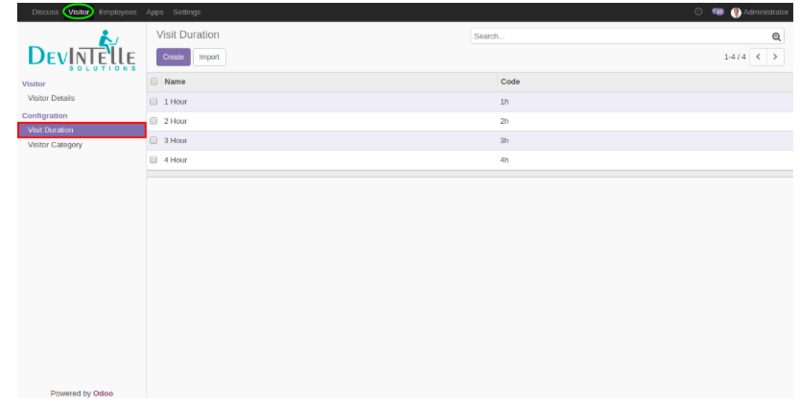 So , to make your process secure here we’re launching our Odoo app. 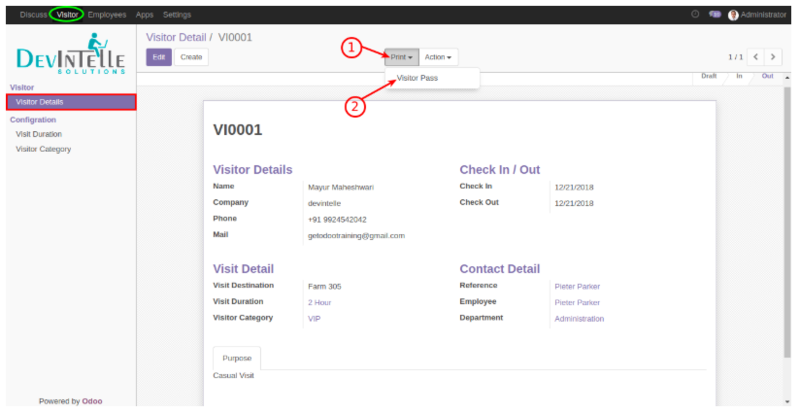 This Odoo app will helps you to keep track of visitor’s check-in check out details into your organization.